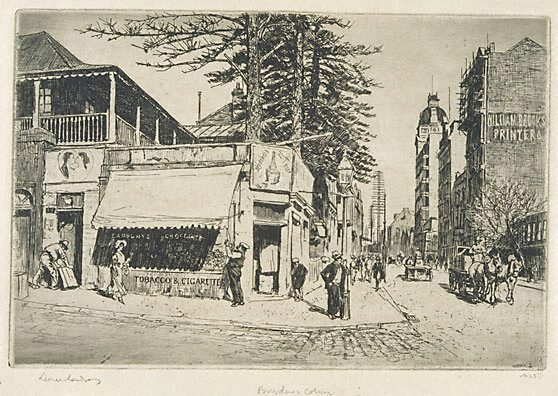 Bowden's corner was the intersection of Castlereagh and Hunter Streets in Sydney. Signed within plate to print l.l., "LIONEL LINDSAY". Not dated.